What is the evidence for raising carbohydrate intake? Is a VLCKD going to be safe? On balance, is this worth trying (or should I eat more wholegrain bread)? Let’s tackle these questions over this and the next few posts. The Dietitian’s Association of Australia (DAA) cites one study to justify that women should increase (wholegrain) carbohydrate intake. We can read an abstract of that study at the link below. This DAA published the study in it’s journal ‘Nutrition & Dietetics’ which the DAA says is: “Australia’s leading peer-reviewed journal in its field …”. Let’s take a closer look, but before we start, I will uncouple comments about saturated fat. The focus here is on carbohydrate recommendations. The reason for that is not to avoid the issue. Saturated fat is a topic on its own, and you can have a VLCKD that is high in protein or fat. Also, any fat in a VLCKD need not be mostly saturated. The present study has identified suboptimal dietary patterns in women with PCOS, and highlighted dietary factors associated with cardiometabolic risk factors that warrant monitoring in both lean and obese women with PCOS. In plain English, the authors found: Ladies with PCOS are not eating to the dietary guidelines. Dietitians should look closely at the diets of women with PCOS regardless of their weight. The study came to that conclusion by comparing the diets of 38 women who had PCOS to 30 women who did not have PCOS (control). This type of study is a matched case-control study. The women were matched to be roughly similar in body mass index (how overweight or obese they were). The participants recorded what they ate in a seven-day food diary, and then that was analysed and compared between the two groups. This is not a randomised control trial (RCT) nor is it a crossover study. It is not designed to test a hypothesis about a low carb diet. It does look at the different diet and health of an average ‘healthy’ group with a sick group. The DAA appears to have taken this study and indicated an association between the level of carbohydrate in the sick group compared to the control group. The reader might conclude that the healthy group is more healthy because they eat more carbohydrates. The reader might also conclude that the sick group became sick because they eat fewer carbohydrates. Those would both be wrong conclusions. A problem with using this study in that way is that while there may be an association, the reason for that connection may not be apparent or even investigated. In fact, there may be no reason for the connection at all. Food diaries are regarded as being better than food questionnaires, but still may not be accurate- especially if the seven day period does not reflect long-term eating patterns. Some of the problems with associational studies and food diaries are discussed in more detail here. However imperfect food diaries and associational studies may be, though, the paper (not the abstract) is detailed about what the researchers did and what the outcomes were. The PCOS group had 42% of calories from carbohydrates vs. 47% for the ‘healthy’ subjects. The PCOS women ate significantly less sugar (88 grams per day) than the ‘healthy’ women (114 grams per day). That is about six teaspoons per day. As sugar is a carbohydrate, that difference accounts for almost all (about 95%) of the reduction in carbohydrates! We can conclude from the study that the PCOS women were eating fewer carbs (according to their diaries), and it appeared that the reduction was mostly by reducing sugar. Anything outside the seven days of a diary is extrapolation. It tells us nothing about whether, if the two groups and control increased or decreased carbohydrates (sugar consumption), they got better or worse. It says nothing about the diet that women were on when they developed the condition. The World Health Organisation recommends that a maximum of 10% of daily energy come from free sugars with a target of 5% being desirable. I note that the ‘healthy’ group were getting about 23% of their energy from total sugars compared with about 18% for the PCOS group. The study did not break down the free sugars. However free sugars are a significant proportion of most people’s total sugars. For some reason, the study made no comment whatsoever about the lower total sugar and neither did the DAA. Neither of the two groups was compliant with dietary and physical activity recommendations for health! Two-thirds of the PCOS sufferers were of healthy weight. When we compare the ‘sick’ (PCOS) group with the ‘healthy’ group, the PCOS group do exhibit health markers indicating PCOS (as expected). In other health markers (such as cholesterol) they are not significantly different to the ‘healthy’ group. Given the sad progression of PCOS to affect cardiovascular risk, this is an interesting finding. The PCOS participants came from a PCOS self-help charity, and it was possible that many had lowered their carb (sugar) intake after diagnosis (joining). 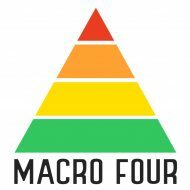 While the charity does not advocate a low carbohydrate diet, there were articles on their website that discussed low carb diets. 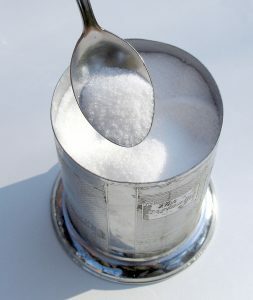 This provides the most likely reason for the lower sugar intake in the diet of the PCOS sufferers. This last point may also actually indicate that some patients have discovered that a low carbohydrate approach works. However, if more moderate carb approach after diagnosis had effectively improved or worsened their condition, then this study was simply not set up to evaluate that. Finally, I note that the DAA mentions the following foods that are suggested as good to eat: (whole)grain, apples, (grainy) bread, legumes and oats and tells you to avoid: butter, coconut (oil), (fatty) meat, biscuits, cakes and pastries. None of these was specifically mentioned in the paper, and as far as can be told from reading the paper, it is just as likely that both groups ate or avoided them all. I think the researchers did perhaps owe us a mention of the sugar differences in their results. However, the extraordinary thing is that the DAA seems to have taken this research and used it to suggest women with PCOS should be eating more carbohydrate by promoting the eating of grains, legumes and bread in particular. It is my understanding that there is no specific diet guideline for PCOS although dietary plans for weight loss are recommended. I would have thought that the DAA would have highlighted the reduction of sugar that the women practised before advocating people eat more carbohydrate. If the aim was weight loss, then a message about sugar reduction should also help. The WHO targets are probably being exceeded, and dietary guidelines are to limit free sugar. At best, sugar is empty calories. There is no clear evidence that I can find from this study that women with PCOS should be increasing their carbs. There is nothing in this study that showed increasing carbohydrates would improve PCOS symptoms. Alternatively, this study does indicates there is likely to be a trend or practice for some women with PCOS to lower their carbs. That seems mostly due to them lowering their sugar intake. Although it was a little frustrating to have to go beyond the press release, I am glad that we looked into the detail and did not discount lowering our carbohydrate just yet. If anything, it is of curious interest that some women with PCOS are reducing their carbs and sugar intake while the DAA does not appear to think this is a good strategy. Is this the wisdom of crowds? In my next blog, we will examine the next question on our list. Is there other evidence that supports lowering carbohydrate intake for PCOS?